Michigan-based Falcon Motorsports builds this low volume mid-engine supercar. 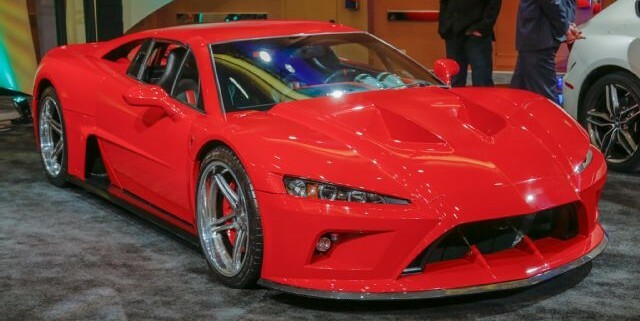 The Falcon F7 is powered by a mid-mounted GM 7.0-liter LS7 V-8 modified to 620 hp and 600 lb-ft — a huge improvement over the 505-hp, 481 lb-ft LS7 found in the Chevrolet Camaro Z/28 and C6 Corvette Z06. The carbon-fiber/Kevlar-intensive Falcon F7 weighs just 2,850 pounds. Brembo carbon-ceramic brakes are standard.